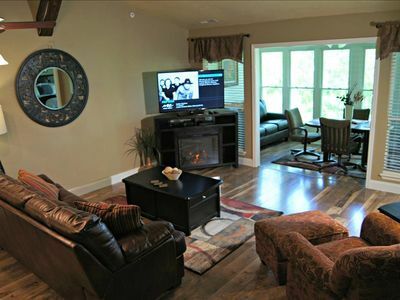 Begin your Branson retreat at this 2-bed, 2-bath condo, complete with all of the comforts of home! 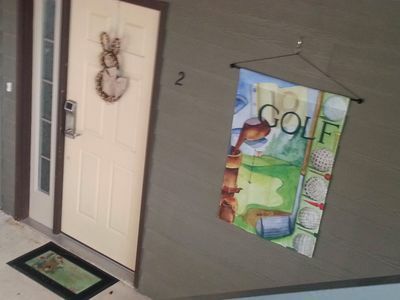 Accommodating up to 6 guests, this unit features a patio, fully equipped kitchen, and access to the Pointe Royale golf course - perfect for those avid golfers in your group. 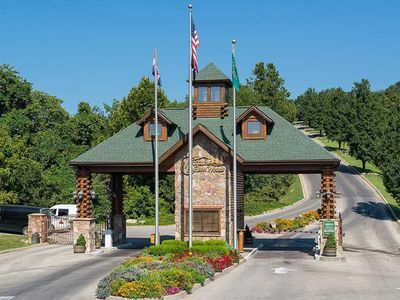 But if golfing isn't your forte, you'll find plenty of other attractions within 15 minutes of the vacation rental, including Table Rock Lake, Silver Dollar City, and Branson's Tanger Outlets, along with so much more! 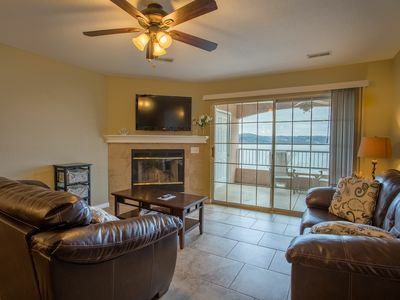 This Pointe Royale condo is sure to be a welcomed addition to your Branson getaway! 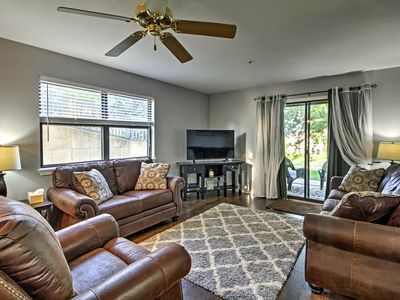 Boasting an idyllic location on the 10th hole of the golf course, this garden-level unit features an outdoor patio, where you can sip coffee or cocktails as you watch golfers play. 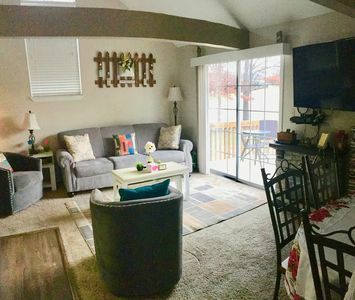 Back inside, you'll find over 1,000 square feet of well-appointed living space, complete with numerous amenities, like in-unit laundry machines and complimentary wireless internet access. Even keep up with your favorite shows on the flat-screen cable TV! Just a few steps away, the fully equipped kitchen is prepared to handle all of your home-cooking needs. Modern appliances and ample counter space make for an enjoyable cooking experience. 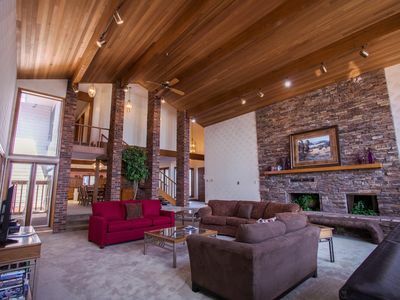 Truly, what makes a place feel like home more than savoring a homemade meal with your loved ones? 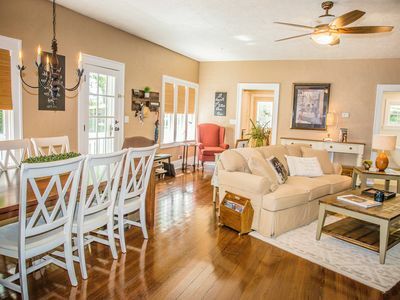 You'll find plenty of seating at the 4-person table and 2-person bar. Complete the day with a hot shower in the master en-suite bathroom, followed by a peaceful night's sleep in the king-sized bed. 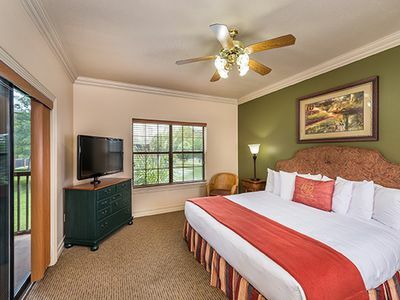 The second bedroom also features a king bed, plus a flat-screen cable TV and ample storage space - offering more than comfortable accommodations. 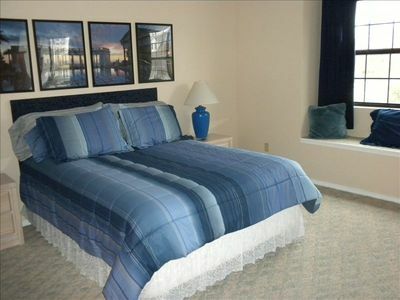 This vacation rental condo features a prime location that you can only truly experience with a trip to Branson! 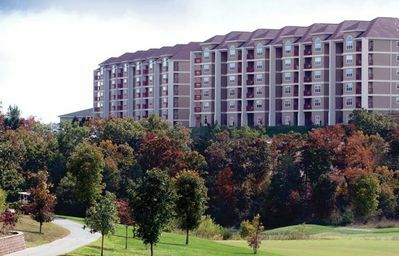 Enjoy instant access to golfing at the Pointe Royale Golf Course, or travel just a few minutes away to Top of the Rock Golf Course, for more link options. New courses are coming soon at Buffalo Ridge that were designed by Tiger Woods and Gary Player. If you have little ones in tow, let them practice their own hole-in-one at Lost Treasure Golf! 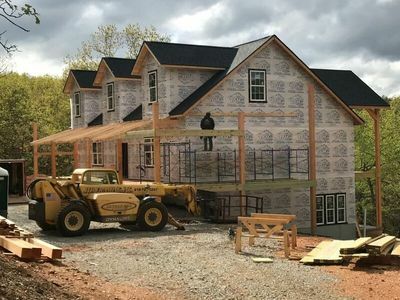 Just minutes from the miniature golf course, you'll find a handful of attractions - including the Titanic Museum, Hollywood Wax Museum, and Dolly Parton's Dixie Stampede, offering an exciting dining experience with horse stunts and musical productions. Seek thrills at Silver Dollar City or Branson Mountain Adventure Park, both found within 9 miles of the condo! When you're in the need of retail therapy, venture to Tanger Outlets Branson, located just 13 minutes north. More shopping is available at Branson Landing, a bustling riverside shopping center with popular name brand stores and numerous restaurants. 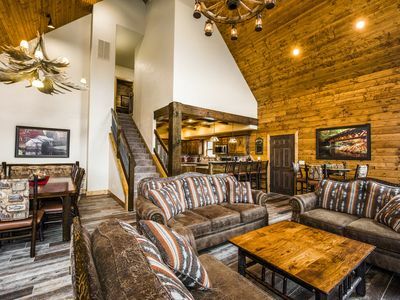 Easily find exactly what you're looking for at this Branson Hot Spot! 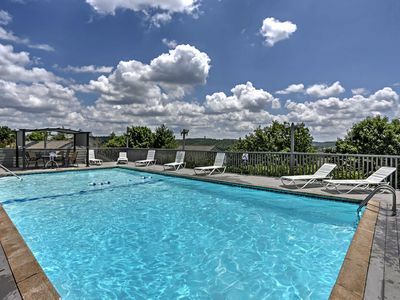 Cool off with a refreshing swim in Table Rock Lake, only 8 minutes away. You'll easily achieve that summer sun-kissed tan on the shore of Moonshine Beach! You might enjoy a hike or bike ride along the Table Rock Lakeshore Trail. Also, make sure to not miss out on the great boating and fishing opportunities in the area! Hop on the Spirit of America or Showboat Branson Belle for a special treat! If you don't feel like cooking, you'll be happy to know that there is an excellent selection of local restaurants nearby! Diamond View Social House Restaurant is located within the Pointe Royale community, while Danna's BBQ and Burger Shop are just outside of it. 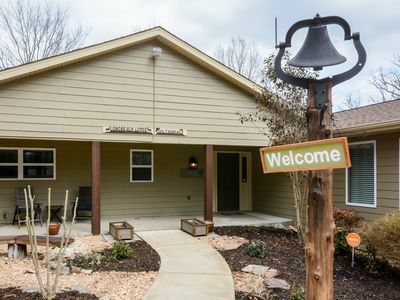 For a unique dining experience, check out Dobyns Dining Room at The Keeter Center, where culinary students test their skills at this farm-to-table American restaurant. 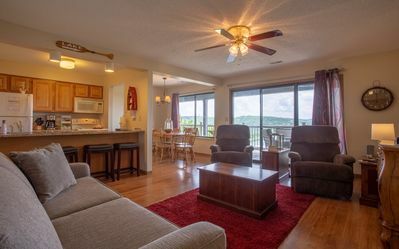 - Prime Branson location in the Pointe Royale community on the 10th hole of the golf course - 8 minutes from Moonshine Beach and Table Rock Lake, 15 minutes from attractions such as the Titanic Museum, Hollywood Wax Museum, and Dolly Parton's Stampede, and Tanger Outlets Branson, and 20 minutes from Branson Landing! PGA Tour April 17-24th Branson, Mo. Close to Silver Dollar City! 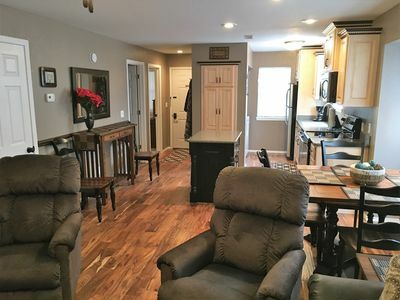 Beautiful Walk-in unit! 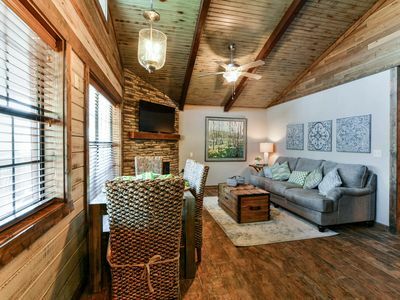 Family Getaway on the Lake just 15 minutes from Branson Landing - SPECIAL NOW! 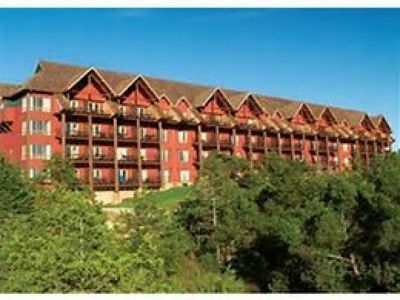 Lakefront Branson Condo w/ Balcony, Pool & Spa! 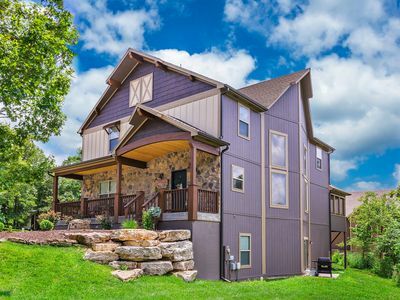 Located near Branson's famous entertainment district on highway 76!